A Master Key suite is a state-of-the-art security system designed for your convenience. It gives designated key holders access to specific areas or buildings and by restricting access through controlled measures, it increases the general security of a property. What is a Master Key Suite? 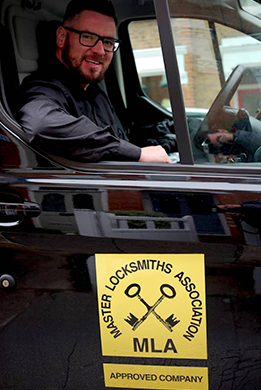 A Master Key suite allows each lock to have its own individual key which will not operate any other lock; however, each lock also forms part of a larger set allowing them to be operated by a single key – the master key. Controls security within one or more buildings as it gives designated individuals access to specific parts of a building, for example, different departments, private areas or delivery zones. Offers more convenience as individuals can have access using one key. Grand Master Key– This is the ‘ultimate’ key. It is the one that gives you full access throughout several buildings. Master Key– This key is equally powerful, except that it gives you full access throughout one building as opposed to many buildings. Sub Master Key– This gives a designated individual access to a specific section within a building, for example, someone in charge of a department or warehouse. Cleaners, maintenance, and delivery keys– These keys restrict access to relevant areas only, ideal for cleaning, maintenance work and receiving deliveries. Change key or servant Key– This lock only has one key which makes it perfect for tenants, small shop owners or students. 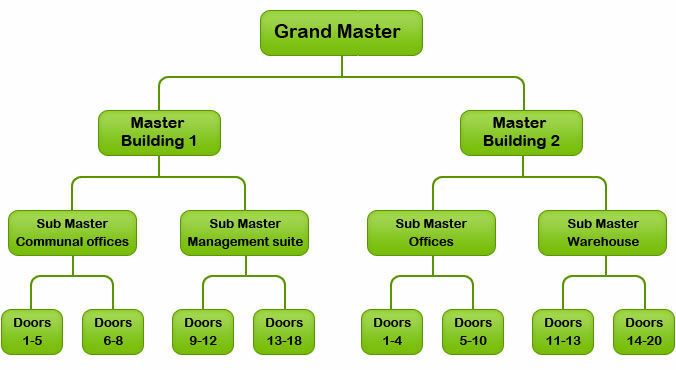 Who is a Master Key Suite suitable for? It is perfect for anyone who has a property with a many locks and wants to control the security and access with a minimal number of keys. It is ideal for commercial property owners, offices, schools, Hotels, retail spaces or Property development owners. A smaller scale option is keyed alike locks.